Camps are some of Blue Starz' most magical times of the year! 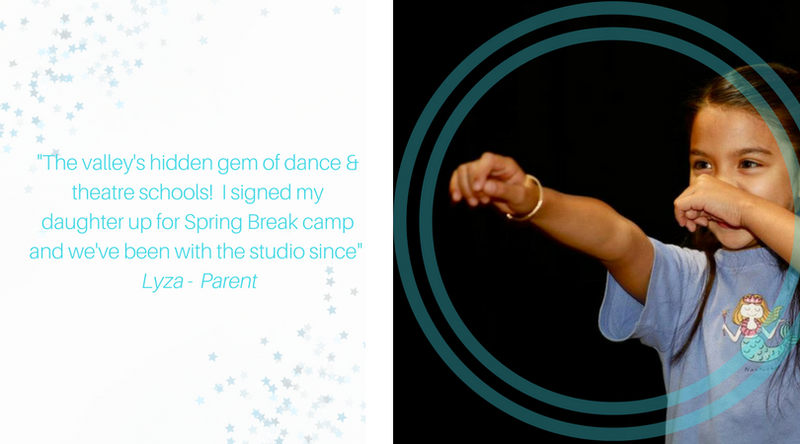 We offer various dance & theatre camps over the Summer, Winter & Spring breaks, with themes ranging from Disney classics to the most popular movies of the year. We invite your little ones to spend a week with us, twirling with excitement to their favorite characters, & singing out to hit songs whilst working towards putting on a little performance at the end of the week. New families: Click the 'BOOK YOUR CAMP' button and fill in the information required. You will receive a detailed email one week before your camp begins. Current families: If you're already a Blue Starz student, or have an account with us, click the 'BOOK YOUR CAMP' button and simply 'Login' to your 'Parent Portal'. Click on the 'Event Registration' then on the 'Event Calendar' button. Choose your correct age group in the 'Event Calendar' and add the student you wish to sign up! If you don't see a camp that works with your schedule, please contact us about opening another week! We only need 8 students to run a camp. Classes include: Parent & Me Dance, Ballet, Tap, Hip Hop, Jazz, Musical Theatre, Drama & Singing. Classes start from 6 months to 12 years. Blue Starz Dance & Theatre School is proud to serve the communities of Sherman Oaks, Burbank, Beverly Hills, Encino, Studio City, Valley Village, Van Nuys, Hollywood, North Hollywood, & the greater Los Angeles area in California.